In 2017, the International Labor Organization estimated that 24.9 million people today are still victims of human trafficking, through forced labor, domestic labor, and sexual exploitation. 79% of them are young girls and women. In Nepal, the lack of access to information and education, illiteracy and poverty are the major causes of human trafficking because of peoples’ vulnerability to misinformation and manipulation. For that reason, after more than a year, Libraries Without Borders accompanied Christina to help her build this library. 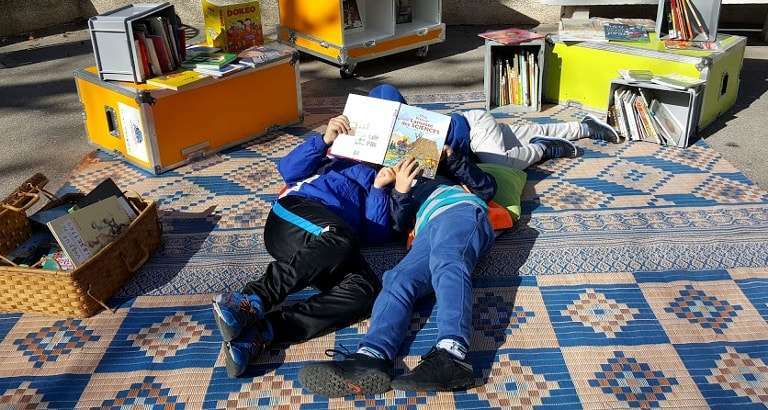 Notably, this is thanks to the KoomBook, an autonomous server created by our association that emits a Wi-Fi signal in disconnected zones, in which you can find e-books, videos, math exercises and language courses. “Currently there is no internet or newspaper access in the village, and the closest library to Batase is in Kathamandu, which is about a 2-day hike. Thanks to the KoomBook, the Batase Library will provide Wi-Fi connection. In the KoomBook, we have included videos to raise awareness of the issue of human trafficking and to educate the village residents. 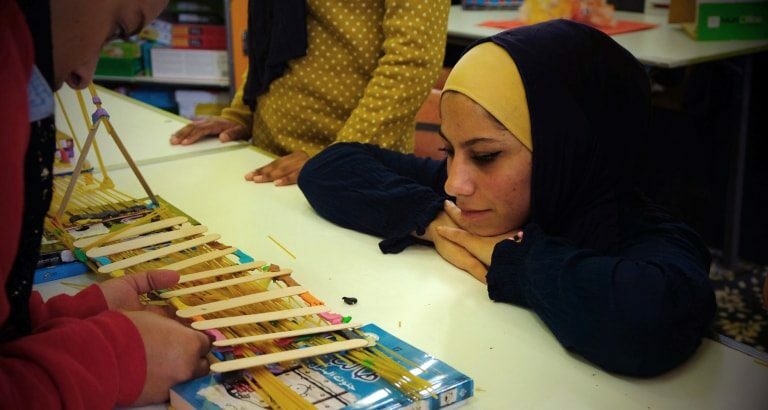 In addition to a weekly cinema session, there will also be workshops in the library – on hygiene, sports, journalism, and writing – movie making with tablets, and games to encourage group activities amongst young children facing illiteracy. In the winter holidays, during the inauguration of the library, users were all trained on how to use the KoomBook by thirteen student volunteers from the Australian National University and Queensland Technological University. Each day, a few residents of Batase will take turns opening it, awaiting the arrival of the local librarian, who will also be trained. 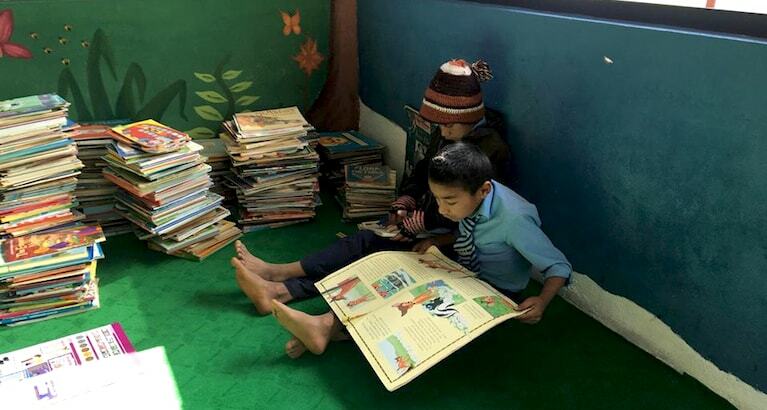 The construction of the Batase Library was made possible thanks to collaboration between Libraries Without Borders, Friends of Himalayan Children and the Australian National University. A fundraiser also mobilized more than 500 people in 14 countries: 12,000 Euros were collected. A video is also available here!